Can you help me generate referrals from LinkedIn? Assign manager privileges for my Google+ pages? Assign admin privileges to my Facebook business page? How do I give you access to Google Analytics? 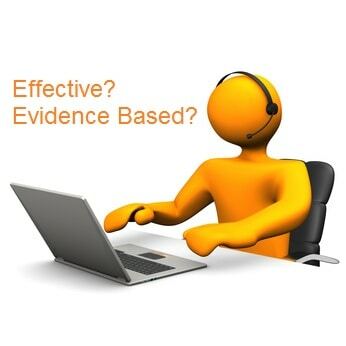 A growing body of evidence on the effectiveness of online psychotherapy indicates that online sessions work. Is online psychotherapy effective? How do online sessions compare to face-to-face therapy? Clinical researchers from the University of Zurich report in the Journal of Affective Disorders on the result of a “gold standard” randomized control study. In the study, 62 patients were randomly assigned to either online therapy or face-to-face sessions. The study population included, primarily, patients suffering from moderate depression. Treatment consisted of eight sessions (cognitive behavior therapy). At the end of the eight sessions, depression could not be diagnosed in 53% of the online therapy group versus 50% for patients in the face-to-face therapy group. While you might have expected client satisfaction with the level of service to be higher with conventional therapy, the opposite result was found. One explanation for the difference that we have suggested is that assignments provided to clients in the online therapy group were electronically available to clients after and outside of the sessions. Participants in the online therapy group indicated that they had re-read correspondence with their therapist from time. A Systematic Review of Online Counseling and Therapy. Evidence from the UK about Distance therapy for mild to moderate disorders. Will Google AdWords recommendations help or hurt your practice? Should I change URLs to improve SEO?